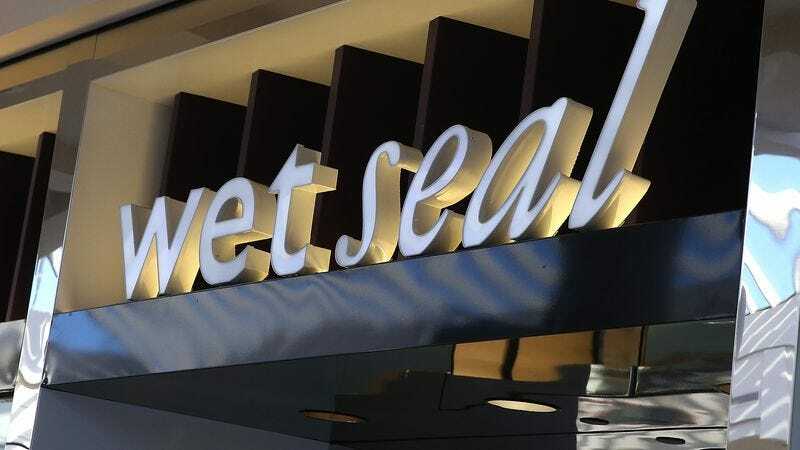 Confirming the old business saw that says you shouldn’t name your clothing store after a damp, filthy mammal if you want it to last more than 27 years, teen clothing retailer Wet Seal has announced that it’s going out of business. According to Business Insider, the company will shut down all 171 of its stores and lay off all its employees, ensuring that the Ashlee Simpsons of the world (or their 2017 equivalents) will have to find new locations to carry their signature clothing lines. Wet Seal—which took its name from an offhand, mean-sounding comment that founder Lorne Huycke made about a model during a fashion show—has been giving teenagers a place to loiter and clothe themselves since 1990. According to BI, its demise is largely due to the slow death of the American mall, with rapidly dwindling foot traffic taking its toll. The company shuttered most of its stores back in 2015; money management company Versa Capital acquired the remaining locations in the aftermath of the closings, but wasn’t able to turn a profit from the brand.